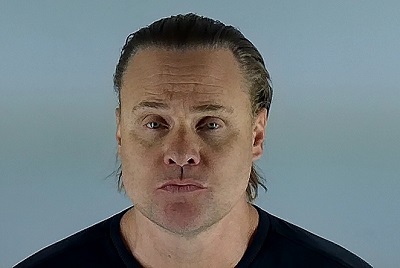 REDMOND, OR -- A Utah man is accused of speeding through a stop sign near the Redmond Airport, running from a Deputy and prompting a K-9 search. The Sheriff’s Office says a Deputy attempted to stop a speeding Corvette at about 7:45 Tuesday night, near 10th and Veterans Way. When the driver refused to stop, the Deputy initiated a short pursuit but was unable to keep up with the Corvette. It was last seen speeding northbound on Lake Road. A short time later, a Redmond Police officer found the unoccupied Corvette parked in a lot near Veterans Way. A K-9 unit tracked the suspect northwest of the vehicle, setting up a perimeter around 10th Street and Highway 126/Evergreen. At about 8:45 p.m., a citizen reported seeing a man run north across Evergreen, near 9th. The perimeter was quickly adjusted and they found the suspect; 47-year-old Eric Halloran was arrested without further incident. The Park City, Utah man is charged with Felony Elude and Reckless Driving.